Currency markets are keeping close track of Cyprus' banking crisis and are braced for possible repercussions, but one currency has thrived in the chaos and zoomed in value -- Bitcoins. 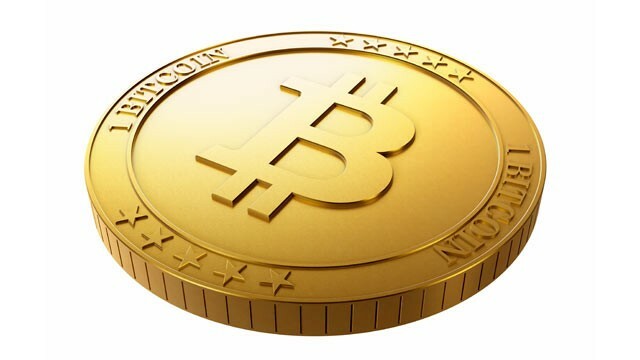 A Bitcoin is a digital currency that is traded electronically and does not need government backing. Despite its name, there is no coin to put in your pocket. Two weeks ago, one Bitcoin was worth $40, then a record high. Today, it's worth $72, largely because of "incremental interest" from euro and Russian ruble holders who are terrified by the situation in Cyprus, said Nicholas Colas, chief market strategist at ConvergEx Group, a financial technology company in Manhattan. "The best-performing currency year-to-date has no home country, no central banker and no physical scrip," Colas said. The Bitcoin is "clearly having a breakthrough moment here, and a deeply surprising one given its novelty and nascent infrastructure," he said. The Bitcoin reportedly was invented by a man who called himself Satoshi Nakamoto, and who may -- or may not -- have been a 23-year-old graduate student in cryptography at Trinity College in Dublin. He wanted people to be able to exchange money electronically and securely without a third party's involvement. Although there are no physical coins, Walmart sells Bitcoin gift cards, and as Salon noted, WordPress and Reddit take payments in Bitcoin. Charlie Shrem, the CEO of BitInstant, a payment processor for Bitcoin exchanges and other merchants, thinks the Bitcoin is the wave of the future. "Let's say you have someone in Cyprus who badly needs money," Shrem said. "How are you going to get that person money? There's not enough cash going around. Bitcoin can and will be used as a barter, or maybe a collateral tool." He believes that people will first use Bitcoin "for its better uses" like remittance, wire transfers, donations and micropayments, before it reaches a mainstream audience. "Imagine being able to pay five cents to read an article online instead of these ridiculous pay walls that require expensive monthly subscriptions," he said. "People will start reading the news again. Right now, you can't do that. Try sending five cents over the Internet." But Diana Furchtgott-Roth, the former chief economist for the U.S. Department of Labor and a senior fellow at the Manhattan Institute, a conservative think tank, was unimpressed. "It's a gimmick," she said. "The Bitcoin would never work in Cyprus because Cyprus is full of insolvent loans. Putting in different currency is not going to help. They would ideally have their own currency. Whether it's digital or dollars, they need to separate from the euro and put in economic currency that will attract more investment." Colas was also hesitant about the Bitcoin's future. "Whether it succeeds or fails is hard to predict," Colas said. "We're clearly in uncharted waters. But one thing is clear: Bitcoin is one more lens with which to assess the ongoing European financial crisis."